As we cruise into fall, take some time to enjoy the fruits of the season. Take a scenic trip to a farm such as Gallrein Farms, Huber Family Farm, or Farm Life to select the perfect pumpkin or pick some crisp apples. This weekend, you can also come face to face with dinosaurs, take in a movie on Slugger Field, head bang to some heavy metal music, and more. Embark on a prehistoric journey from the Jurassic, Triassic, and Cretaceous periods and discover the dinosaurs that ruled the earth for more than 150 million years ago at the T. Rex Planet Jurassic Adventure at Jefferson Mall in the former Macy’s location. The exhibit features more than 50 life size ultra-realistic dinosaurs in their natural habitat and the opportunity to ride a cute little baby Dinosaur or a 15 foot animatronic T Rex or Triceratops. Rock out at the Louder Than Life Festival at Champions Park, featuring headliners such as Ozzy Osbourne with Zakk Wylde, Rob Zombie, Five Finger Death Punch, Mastodon, Prophets of Rage, Incubus, Rise Against, Stone Sour, and more. 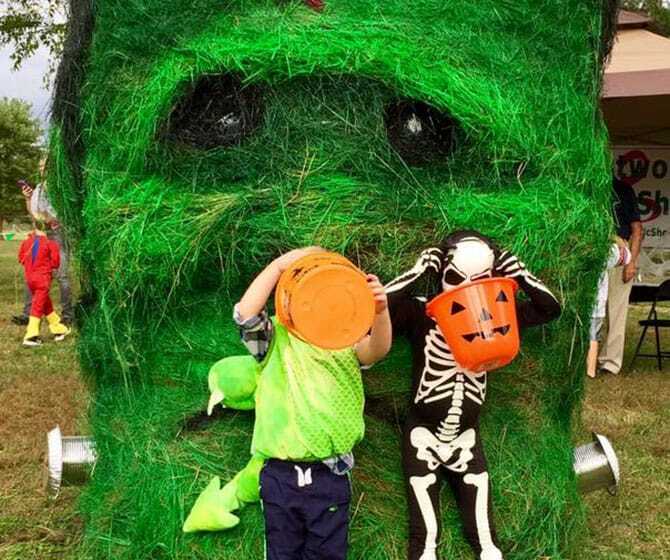 Take the kids to the 13th annual Haunted Hike event at Creasey Mahan Nature Preserve for a mile-long fantasy kiddie trail with trick and treat stations, a harvest hay village, inflatables, a comic haunted house, jungle hayrides, treat stations, and more. Check out the live action Beauty & the Beast at the first-ever Movie Night at Slugger Field, as the ballpark turns in to the ultimate movie theater. Enjoy eating under the stars and oak trees on the Oldham County Courthouse Lawn at Dinner on Main Street, and event benefiting the Oldham County Educational Foundation and featuring interactive food stations, hosted bars, casual outdoor lounges, and live and silent auctions. Hop on the Twilight Wagon Tour for a ride on our rustic hay wagon and explore all 296 acres of Cave Hill Cemetery, listening to the stories of those from long ago and modern times that have made an indelible mark on Louisville history. 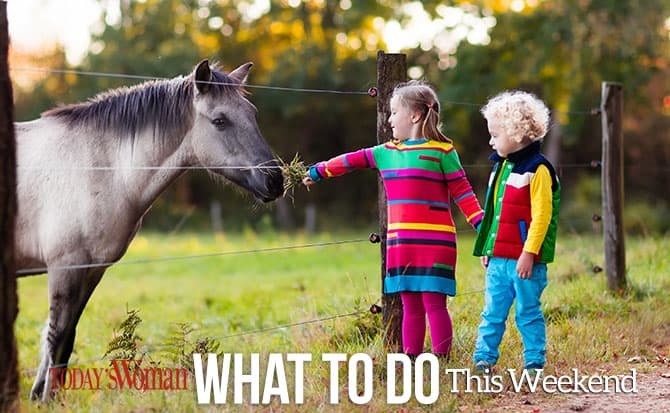 Take the kids to Family Adventure Day at Churchill Downs for a day of racing and family activities including pony rides, inflatables, petting zoo, stick horse races in the Paddock, face painting, and more. Dine with new people and leave as friends rather than strangers at The Big Table: World’s Largest Potluck at Iroquois Amphitheater. Guests will be organized into tables of 8, and volunteers will help facilitate the evening’s conversation. 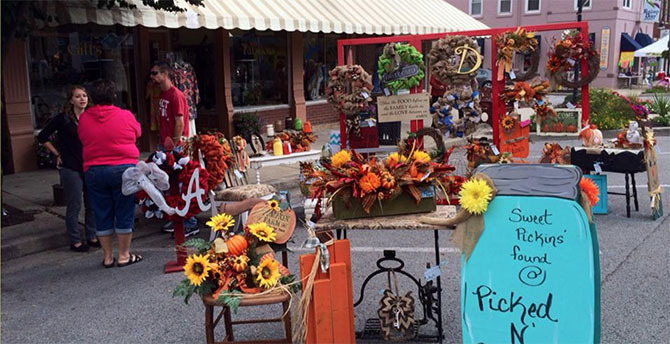 Peruse the Dixie Soul Fancy Flea, an outdoor market in Historic La Grange showcasing booths with unique offerings in categories such as vintage, antique, handmade, re-purposed, art and more. The Louisville Palace begins its Halloween Movie Series with a showing of Ghostbusters (1984).